On May 13, 1968, 12234 Army National Guardsmen in 20 units from 17 states were mobilized for service during the Vietnam War. Eight units deployed to Vietnam and over 7,000 Army Guardsmen served in the war zone. Company D (Ranger), 151st Infanry, Indiana Army National Guard arrived in December 1968. As part of the II Field Force, the Indiana Rangers were assigned reconnaissance and intelligence-gathering missions. 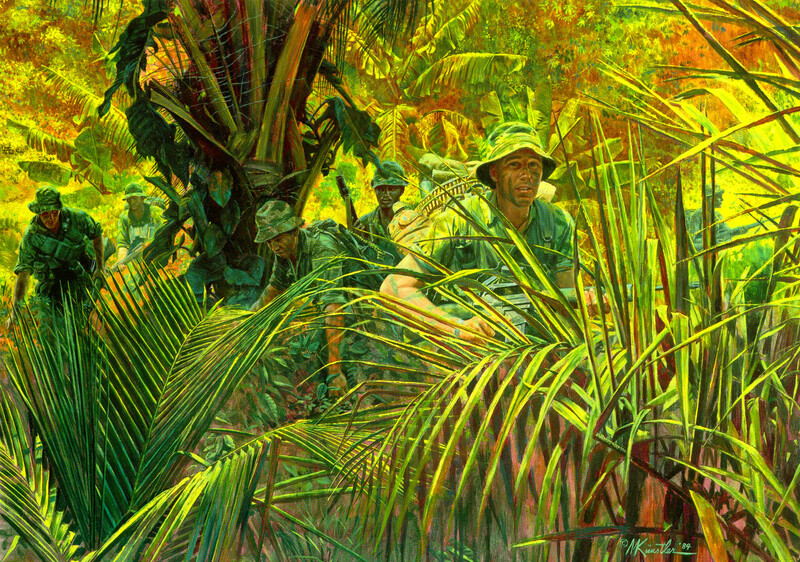 Operating deep in enemy territory, Ranger patrols engaged enemy units while conducting raids, ambushes and surveillance missions. "Delta Company" achieved an impressive combat record during its tour in Vietnam; unit members were awarded 510 medals for valor and service. The gallant record of Company D, 151st Infantry symbolized the Army National Guard's performance in Vietnam.